It's 2018 and with the new year comes all of the promise of a fresh start and bright future ahead. I don't know about you, but it seems like anything is possible and with that positivity comes vitality and clarity. 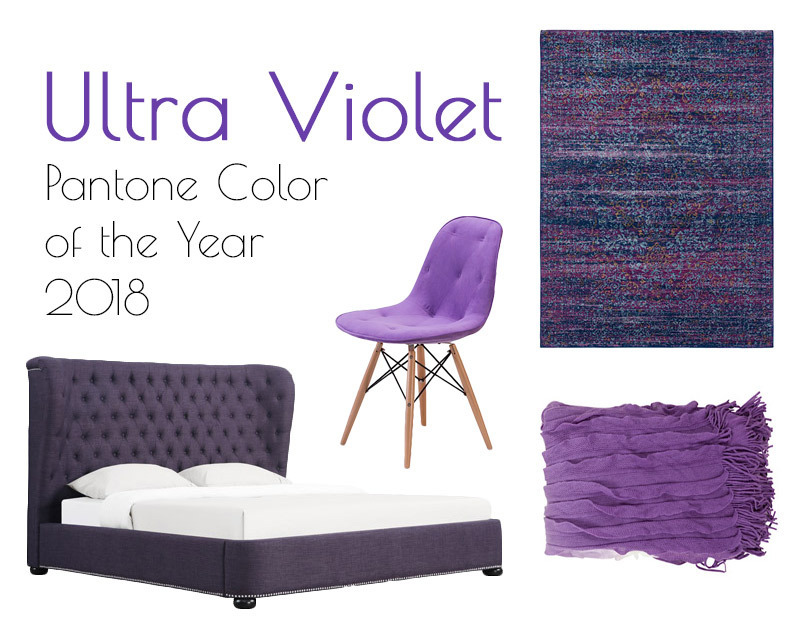 If there was ever a color to express this mood, it is the Pantone color of the Year, Ultra Violet. You can bring this energy into your home in 2018 and we'll show you how! With a highly saturated color like Ultra Violet, you might want to start subtly to make it work in your space or if you're feeling bold, you can go all out and embrace this vibrant hue. If you're looking to dip your toes into the Ultra Violet spectrum, try an accent piece like the Encase Throw draped over your neutral sofa. Compliment the throw with a fuzzy pillow to give you a soft and subtle touch of color that will be perfect for those chilly evenings of binge-watching 'The Crown' with a glass of sparkling wine. The Betty Rug is a new addition to our rug collection and the mixture of teal, dark blue, garnet and burnt orange make this rug a lovely complement to your contemporary living room or dining space. The colors blend to give you an Ultra Violet hue and the modern and vintage blend of styles make it a fun piece to add to your home in 2018. 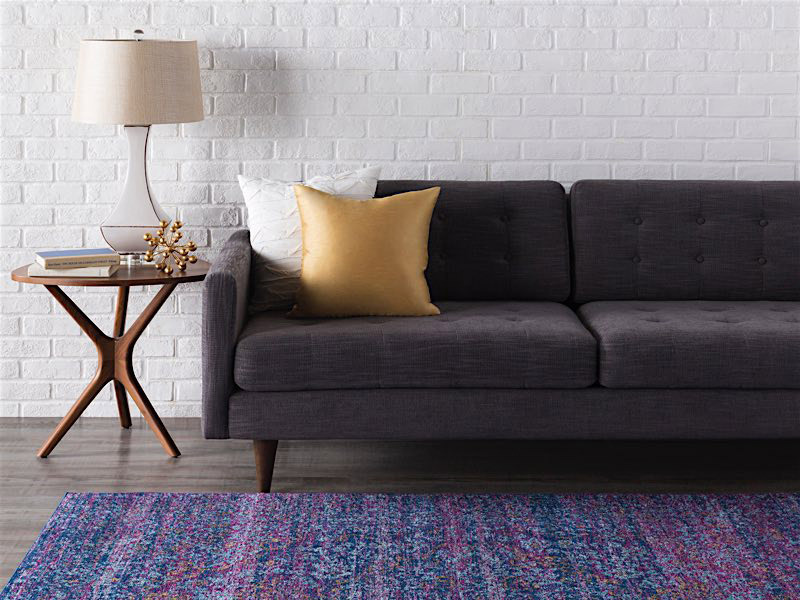 We love Betty so much, we added a whole new collection of cool Bohemian rugs! 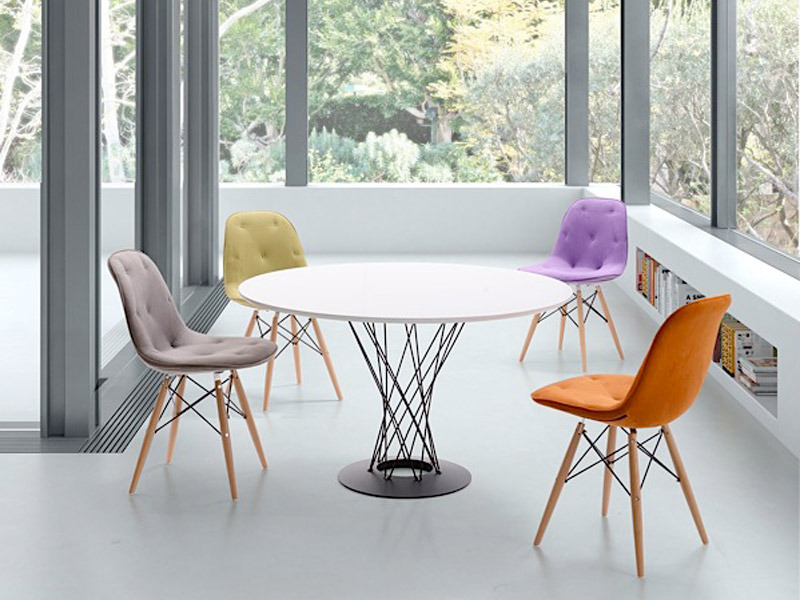 The versatility of the Probability Chair makes it the perfect choice for you to add as a pop of color to your minimalist bedroom, or place a few around your dining table to mix up your decor. This chair has a classic style, but the color makes it unique and the upholstered seat gives it a comfy feel. Imagine it paired with a black desk and a sheepskin draped over the back to create a chic workspace. To complete our round-up of purple pieces, I included the Felicity Bed. It is a deeper plum color to add some richness to your bedroom and will pair well with simple white bedding to let this statement piece take center stage. Add a dramatic pendant lamp and a luxurious pair of slippers to complete the picture. Or if you're ready to take the plunge into a sea of purple, you might want to try Benjamin Moore's 'Mystical Grape' as an accent wall color. Choose a space in your home to paint and then create a gallery wall of some of your favorite pictures and prints and watch them come to life against the striking color. However you choose to take on Pantone's color of the year, whether in home decor, fashion or hair color, find a way to make it your own and have fun.